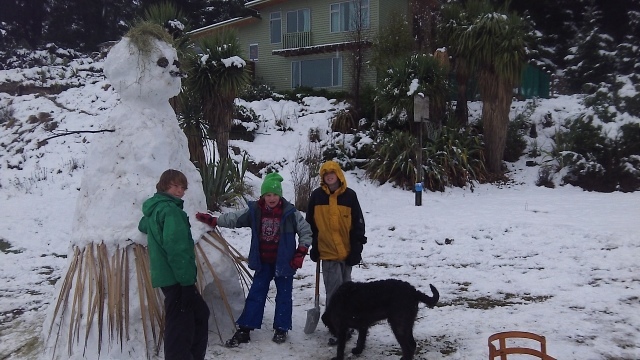 Room 6's Class Blog: Corin and his brothers James and Joel created a Snowwoman. Corin and his brothers James and Joel created a Snowwoman. Wow!!! That is a sfantastic Snow-woman. I wonder if the igloo below is Karhu's new home? The for of you are just too fantastic. I am left wondering how you completed the high parts of the Snow Woman, but knowing your climbing prowess it can now have been too much of a problem. Impressed. And jealous - Cromwell never got any snow. Might need a field trip to Hawea I think.